Free Pancakes at IHOP Today 2/28 | A Savings WOW! 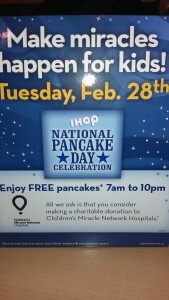 Stop into your local IHOP restaurant location today for a FREE short stack of buttermilk pancakes. 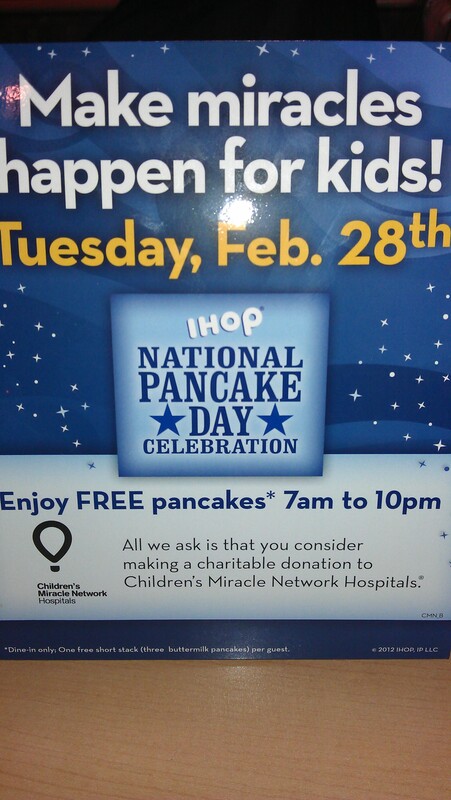 It’s their National Pancake Day and in return for the free pancakes, guests are asked to consider leaving a donation for Children’s Miracle Network Hospitals© and other designated local charities. Find your nearest IHOP location.